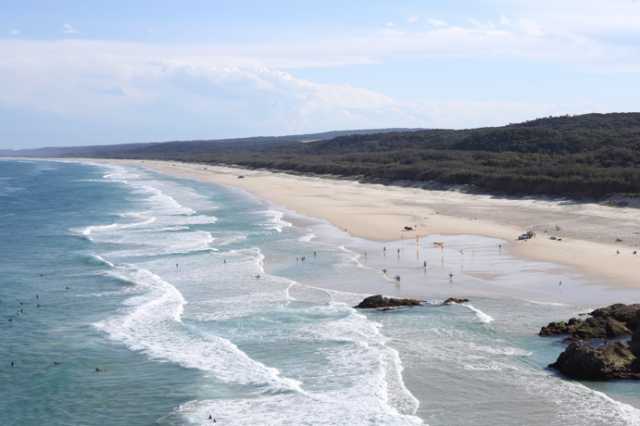 Having a reputation as the second largest sand island in the world, North Stradbroke Island is only an hour's drive from Brisbane and a ferry ride across. Known for its tranquil shores, it has been likened to a Noah’s Ark of rare and endangered fauna and flora. With plenty of beaches to explore, Australian native animals in every corner and breath-taking scenery, life on this island is pretty sweet. 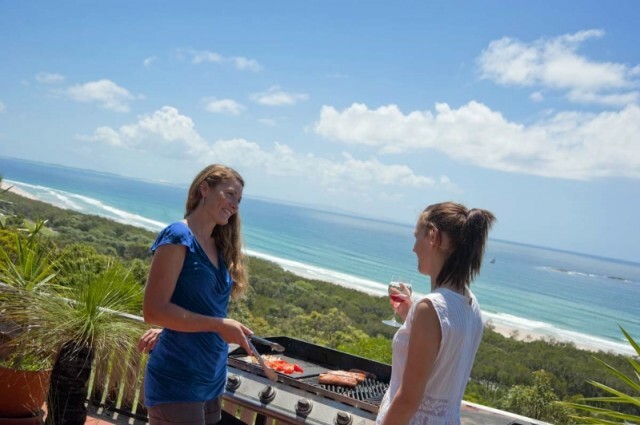 Here’s 15 ways to enjoy a holiday in Straddie without burning a hole in your pocket. 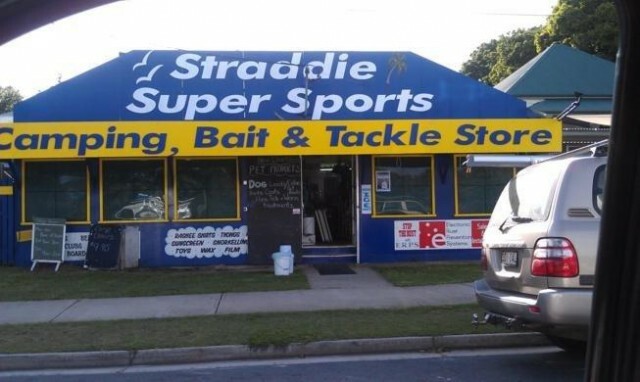 The best way to get to Straddie is via car. After a 50 minutes’ drive from Brisbane city to Cleveland, you will arrive at Toondah Harbour, Emmett Drive, Cleveland. 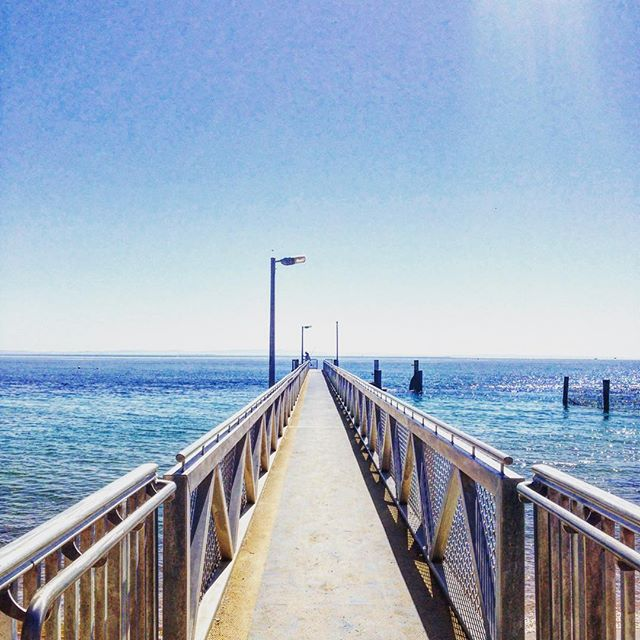 To get from the mainland to Stradbroke Island, you will need to take a vehicle ferry which operates in 45 minute intervals. The trip itself takes approximately 40 minutes, although it definitely did not feel as long! On-board facilities include a licensed and air-conditioned café, plasma television and a special dolphin-viewing platform. Though I would say driving your car onto a boat is pretty entertaining already! Secure your places beforehand by booking online prior to your trip at $140 per vehicle return. Alternatively if you are without a vehicle, these ferries also offer walk-on tickets at $10 per adult and $5 per child. Operating hours: 7 days a week, varied times. Brown Lake received its name from the tea-trees leaves from the surrounding forest, which imbue the waters with the healing and soothing essence of its oils, giving it its iconic tea-coloured water tint. Relax on the lake’s white-sand beach, take a refreshing swim with the ducks, or enjoy a leisurely kayak downstream. Alternatively, dip your feet inside the water amongst the multitude of tiny fish and see the golden gradient for yourself – it’s an amazing natural sight. Amity Point is a popular spot for fishermen to gather, hooking up bait and throwing it into the deep blue waters. Sit by the rocks and watch or even join the fishermen in reeling in their catch. Walk across the jetty and have a peek over the edge. 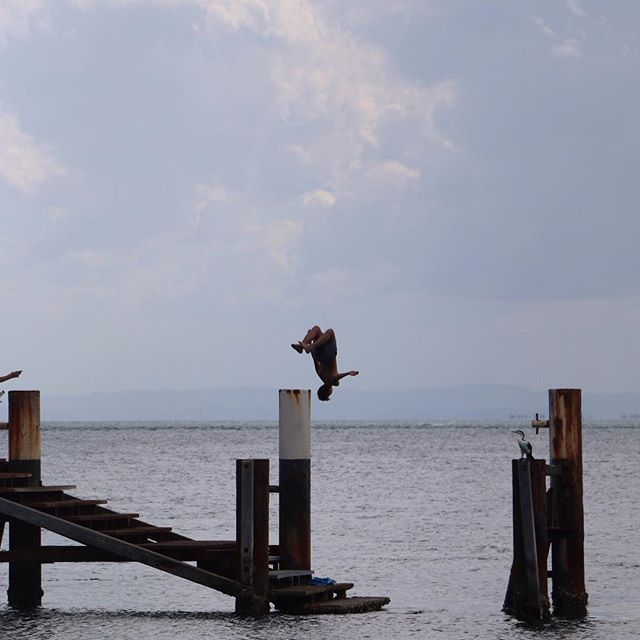 For those who want an even closer view of what lies beneath, join the young and the young at heart as they cannonball from the steps of the jetty into the calm waters below. 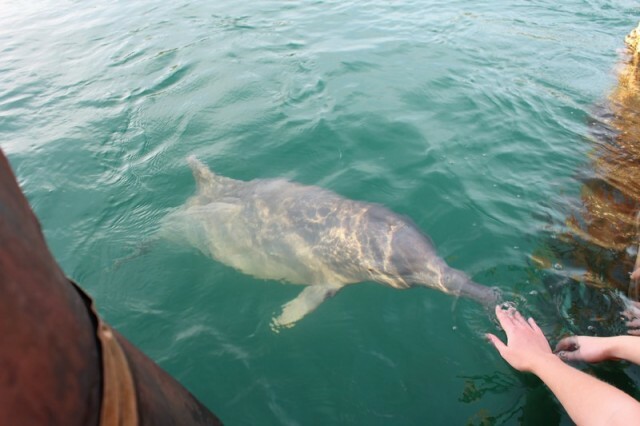 If you’re very lucky, you may even be able to feed wild dolphins that have been known to frequent the area! 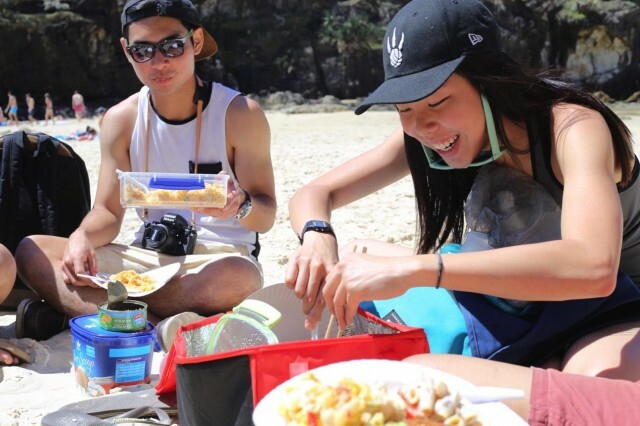 To make the most of Queensland’s perfect weather, prepare a picnic basket (or a few) and have a potluck lunch on the beach. Otherwise, make sure you have an esky handy to keep things cool! Other favourite picnic spots include the Brown Lake Conservation Area Picnic Area at Brown Lake Drive, Dunwich Oval Picnic Area at Junner Street or Point Lookout Picnic Area on East Coast Road. 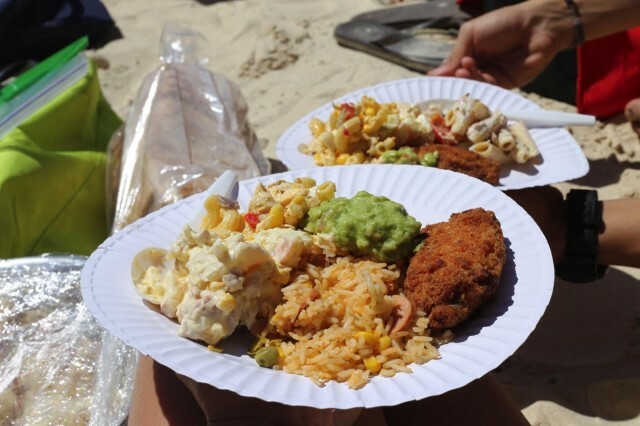 Alternatively, for those who prefer their lunches hot, there are a few BBQ pit areas around the island where you can fry up your own lunch at no extra cost. 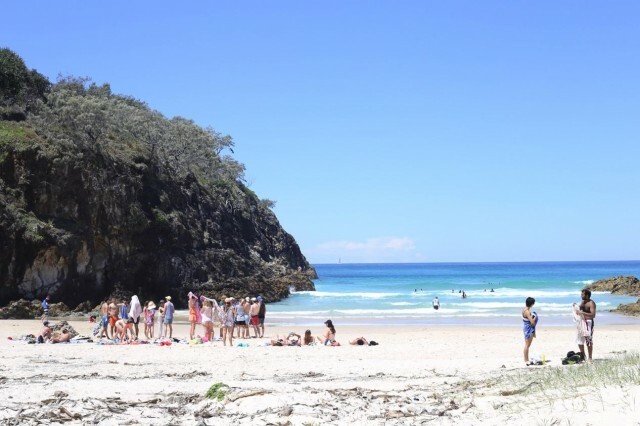 Barbeque spots can be found at Amity at Cabarita Park, Dunwich at Old Ballow Park and Point Lookout has four sites: Adder Rock, Headlands Park, Point Lookout Oval and Cylinder beach picnic area. 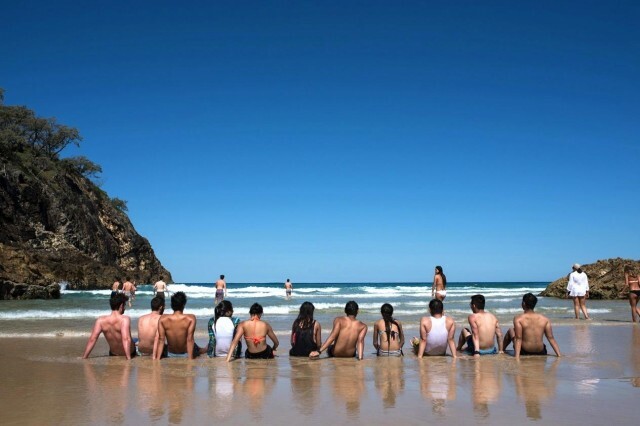 Cylinder Beach is a picturesque cove and a popular spot with families because the waves are often smaller compared to the other beaches, therefore perfect for sunbathing and swimming. 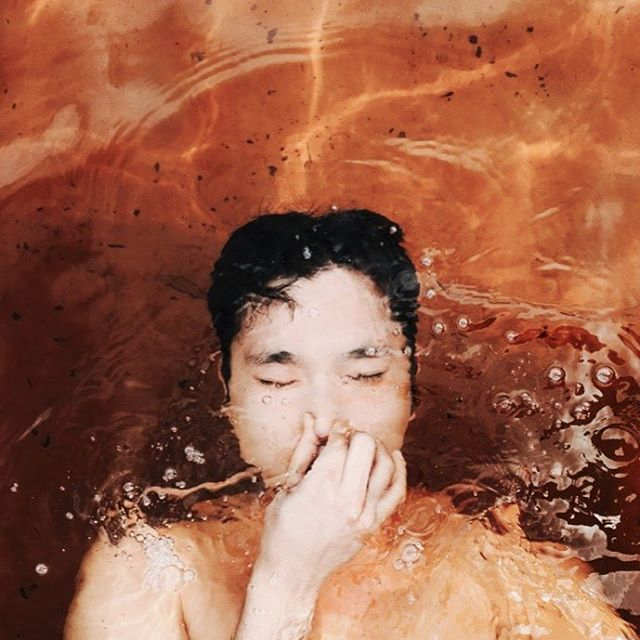 While the sun is still out, don your bathers and jump right in! The waters are as clear as crystal. Even when we were meters out in the Pacific Ocean, we could still touch the sand with our toes. When you’re done and puffed out from hours of fun, settle by the shore and sunbathe to the sound of crashing waves at your feet. 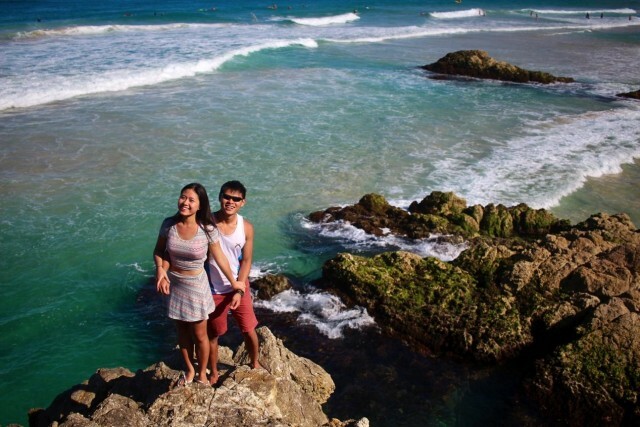 For a panoramic vista of the Pacific Ocean, head over to the rocks located behind the Point Lookout Surf Lifesaving Club (SLSC). It has an amazing view to take photos from, but be careful! The rocks are quite sharp and since there are no barriers, always mind your footing or grab onto something (or someone) tight. You’ll be able to see Cylinder beach to your left and Main beach to your right. It’s hard to believe that they can all be seen in this one spot! 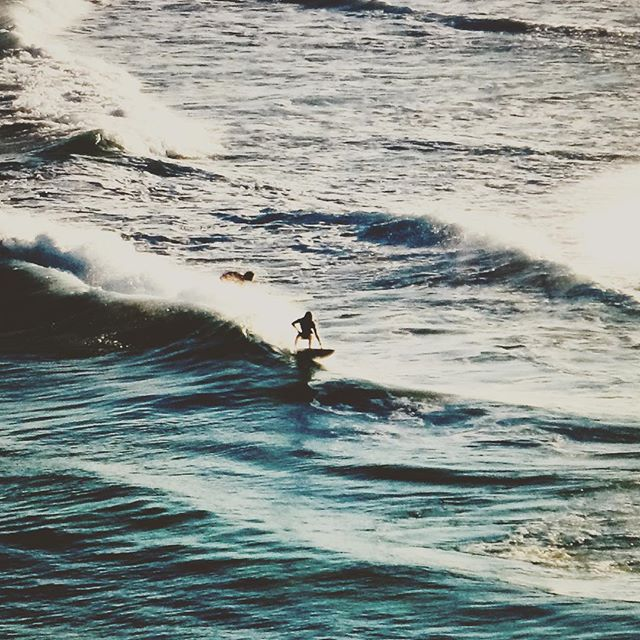 This is also the best vantage point for watching the surfing action on the both beaches. 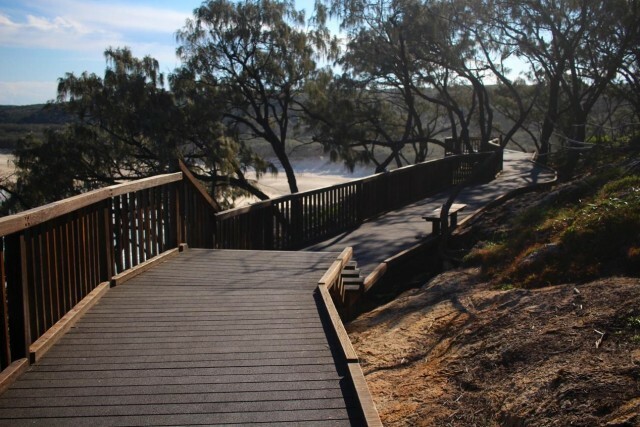 For some light exercise, go for a bushwalk along the iconic and well-marked boardwalk. The Gorge walk is a scenic route looking over the ocean that can take you 15 minutes or up to an hour if you want to complete this 1.2 km circle. Look out for turtles, dolphins or manta rays swimming in the waters below you from the cliff tops. 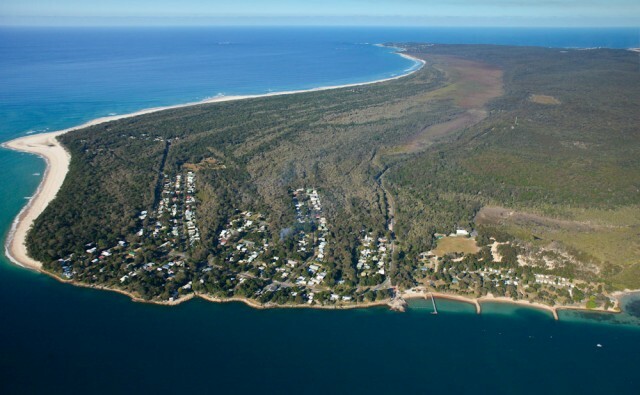 Land-based whale watching is also extremely popular on Stradbroke Island as it has breathtaking views at 35m above sea level. Every year, Humpback whales can be seen migrating between June and November from their summer Antarctic feeding grounds, along Australia's continental coastline to tropical regions to breed and calve in winter. Consider stashing slices of raw sweet potatoes in your pockets during your walks. 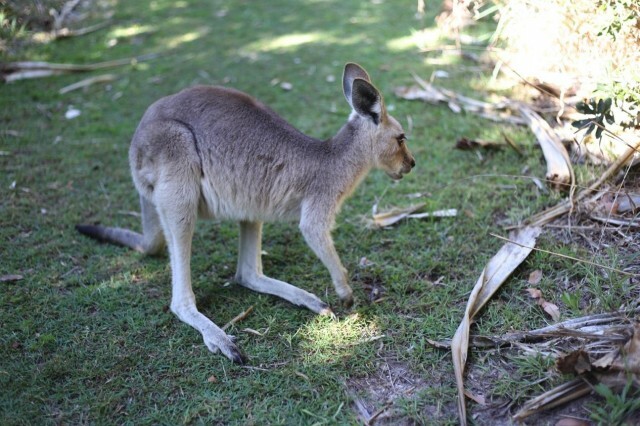 Not for yourself, of course, but in the event that you do spot one of Australia’s cutest marsupials on your way – the Swamp Wallabies or Eastern Grey Kangaroos, as we have here. They usually hop around in groups or pairs. 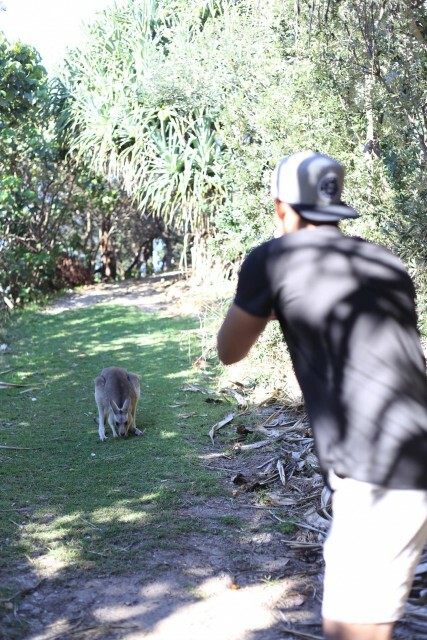 Although these ones weren’t comfortable with humans within arm’s length, we did manage to get quite close. Or at least close enough to attempt a selfie with it. 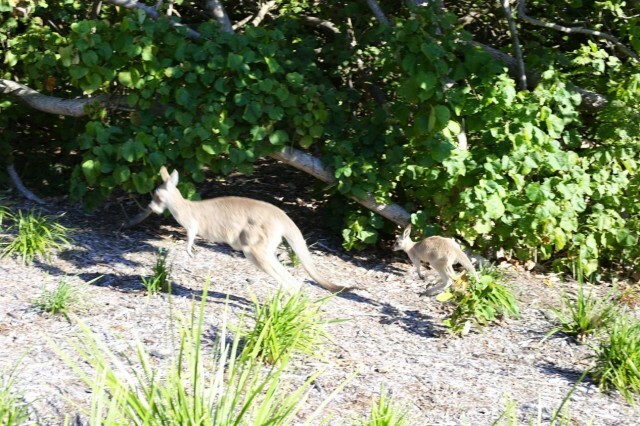 We even managed to catch a glimpse of a joey that tried to jump its way back into mama’s pouch upon seeing us before the both of them hopped away. 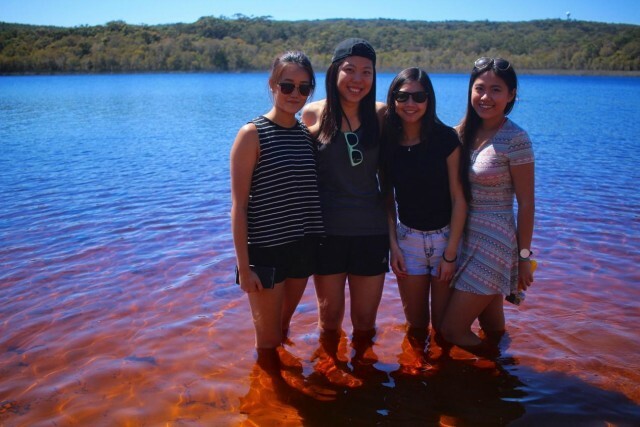 Take a walk in Blue Lake National Park, featuring the Blue Lake, located 8.5km from Dunwich. It is also known as a “window lake” and is just less than 10 meters deep when full. Keep an eye out for wildlife and don’t forget your swimmers for a swim. Explore the undeveloped shoes surrounding the lake or look out for the southern Sun fish. 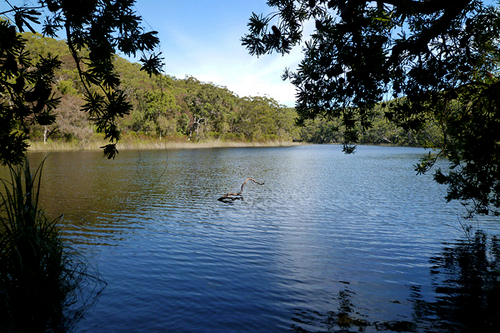 Blue Lake is only accessible by 4WD or foot with a 5.2 km return walk from the car park. Make sure you carry enough water on the way as there are no facilities at the lake or car park. 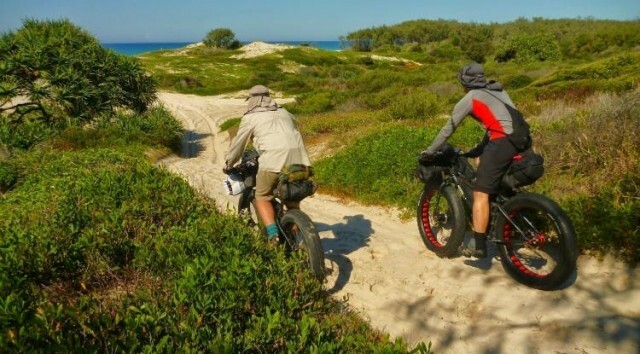 For a quicker way to explore the island, consider Bike Hire available from Straddie Super Sports at $6.40/hour or $29.50/day, including helmets. Make sure you plan in advance if you choose to, as bookings are essential. Call (07) 3409 9252 for more enquiries! No visit to the beach is complete working an ice cream or gelato. 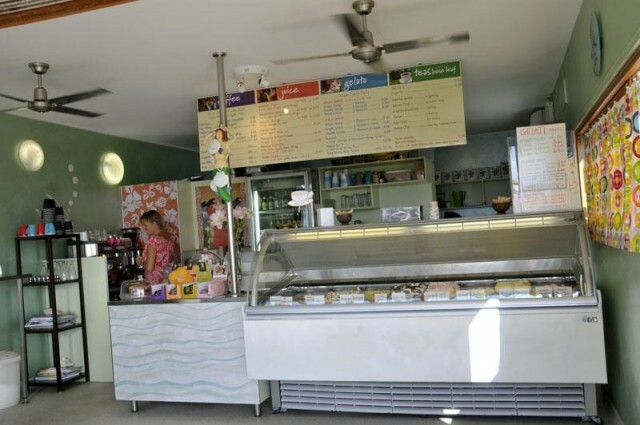 Grab one from the highly raved and always crowded Oceanic Gelati and Coffee Bar. 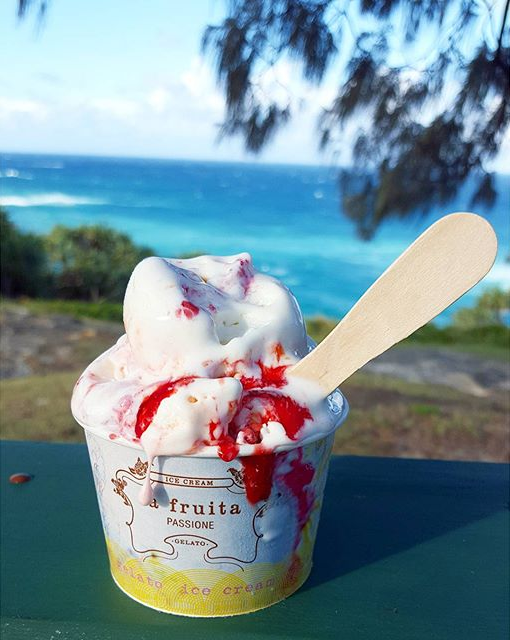 Their menu includes freshly made scoops of Almond, Strawberry Mango, Coco Lime and Passionfruit. With three flavours going for $7, there’s no reason why you shouldn’t order more flavours to share with friends. After you have finally decided on a flavour(s), take it to the cliffs, park or the beach – wherever you best please to enjoy this icy goodness with views of the ocean against the heat of the sun. 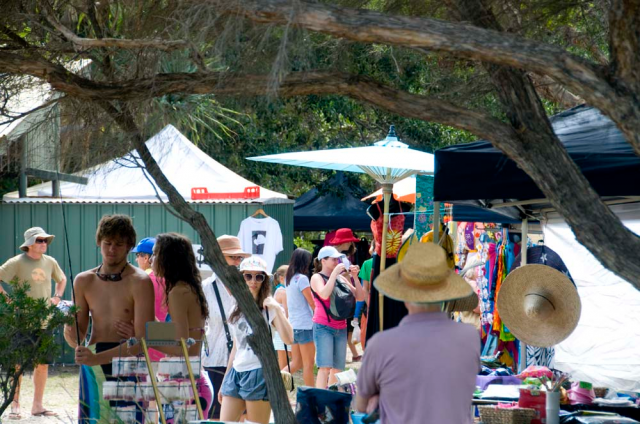 Come and browse through the local Straddie Markets with stalls selling plants, pickles and preserves. 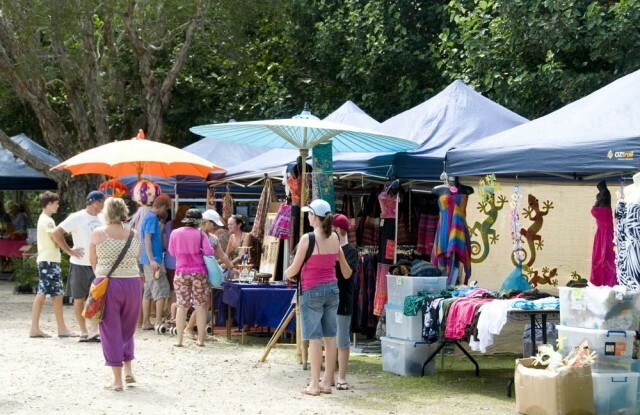 The Straddie Markets are a well-known place for a bargain in a beautiful location. Bring home local handmade artwork, including hand knitted blankets, hand printed t-shirts and handmade jewellery and gifts. For those food-inclined, grab a delicious locally made sausage, baked goods or even local organic honey. You can also have a natural, island-themed massage or even have your tarot cards read. Be sure to have a look for yourself and support the local community while you’re at it! 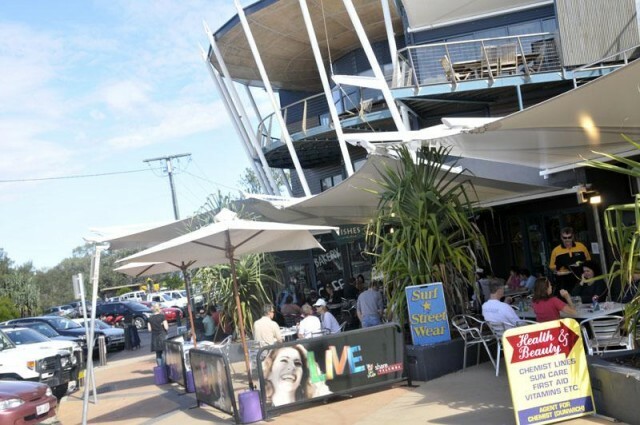 After a long day, settle down at the popular sustainability-focused dining spot ‘Fishes at the Point’, for old fashioned fish & chips, an a la carte menu, good wine and cold beer on tap. 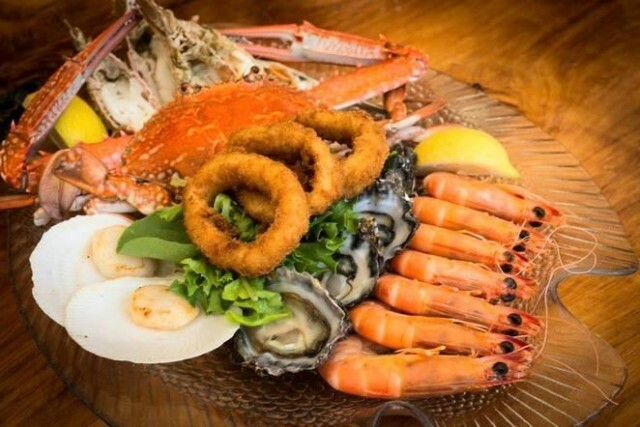 Their ‘All Day’ menu includes Straddie Fisherman’s Basket ($27) and Freshly Made House Burgers ($14) with a glass of Brancott Estate Sparkling wine ($6). Or you could choose take-away options with a Family Pack for 4 ($75) to get a variety. Opening hours: Open 7 Days | 9am – 4pm, Monday – Thursday | 8am – 8pm Friday & Saturday | 8am – 4pm Sunday. Finally when it is time to board and head back to Brisbane, spend the last few moments on board laughing over the day’s events as the last golden rays sink into the violet sky. 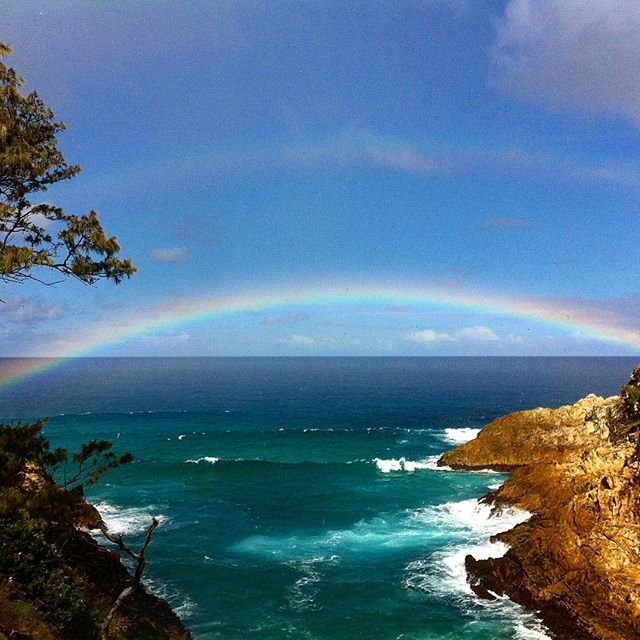 Just outside your door, Straddie is nothing short of a gift from Mother Nature and is waiting just for you to pay a visit soon!